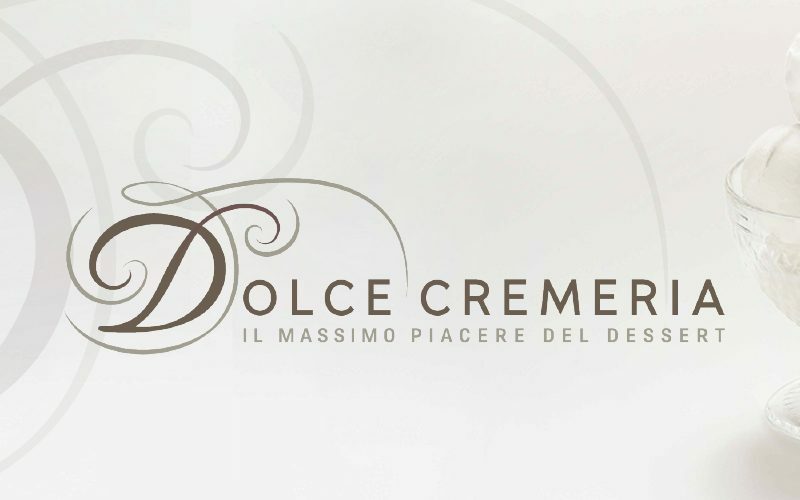 The brand Dolce Cremeria, a reference point in the production of ice creams with an experience matured since 1982, has become part of the Délifrance Italia ecosystem since 2017. Délifrance Italia, a company that for over 30 years has been producing and marketing frozen bakery products for horeca, artisan and large-scale retail trade, offering a wide range of references for viennoiseries, bread, pastries and savory snacks, which combine French tradition with Italian taste. Innovation, selected ingredients, high quality standards and an unmistakable taste are the basis of the production of Dolce Cremeria ice creams, recognizable by refinement and refinement. 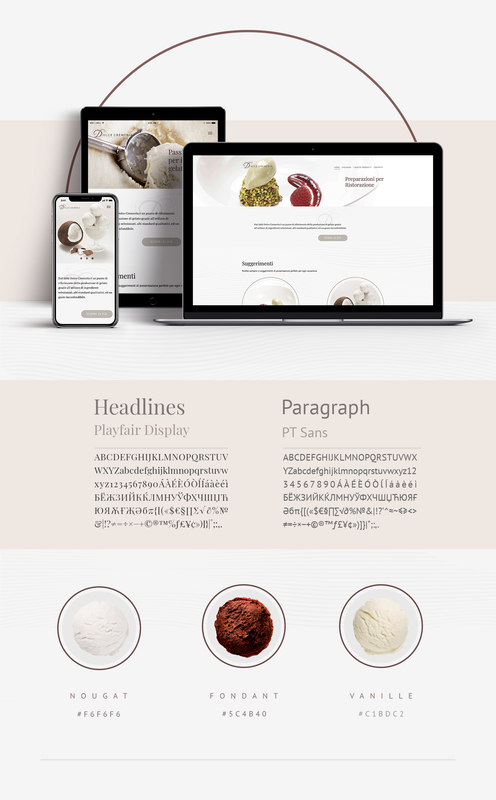 The client has chosen IQUII for the redesign of the website Dolce Cremeria with the aim of giving a new look and feel and communicating the artisan tradition, the quality of the raw materials and the values of the brand. In the design phase of the new website, based on a responsive layout, we have rethought the contents architecture so as to make browsing faster and favor a more fluid user experience, able to guide the user in discovering the brand. 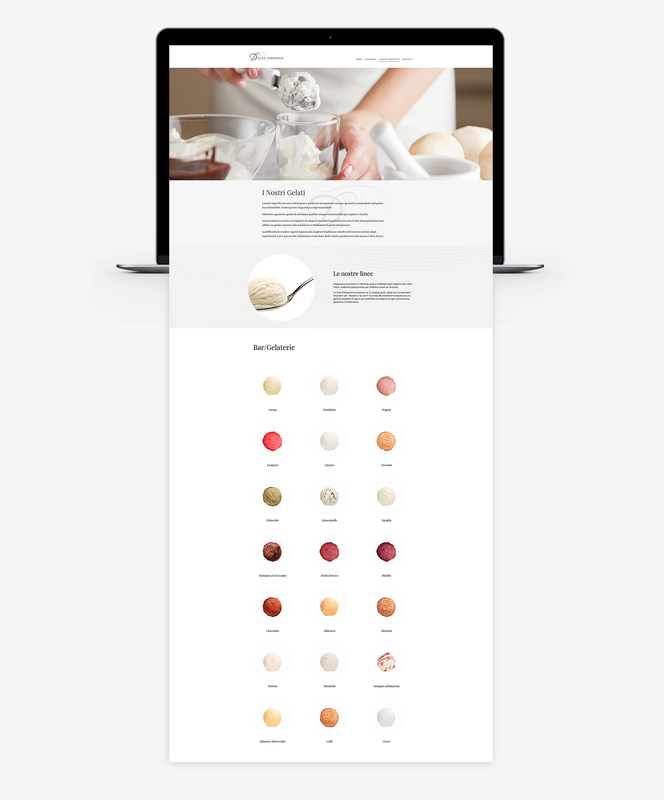 The characteristic elements of the website, perfectly aligned with the elegant style of Délifrance, have been designed to reproduce rounded shapes – with a reference to the logo – using soft colors, soft and gentle curves that recall the classic ice cream ball. Inside the website, we told the product based on the two target of Dolce Cremeria: bars/ice cream parlors and restaurants. The creation of ad hoc content was fundamental, designed to enhance the brand and allow current and potential customers to discover the tastes of ice cream, the raw materials chosen, the methods of preparation of the products and suggestions for recipes and dishes. 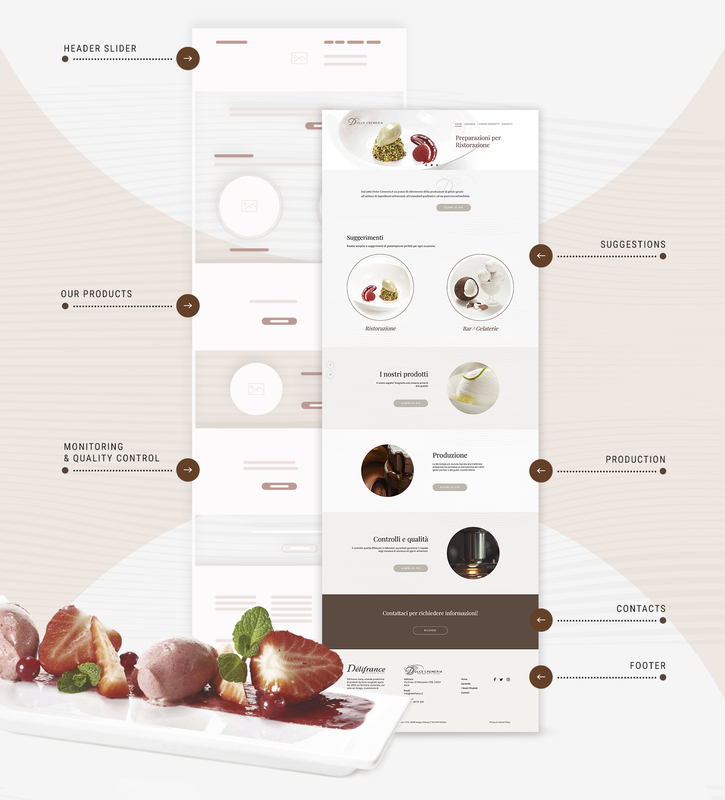 Simultaneously with the restyling of the site, we worked on an organic repositioning on search engines to reinforce the findability especially for keywords related to the supply of artisanal ice cream in northern Italy. The positioning work was carried out on Google and overseeing the main aggregators and touchpoints such as Google My Business, YELP and Pagine Gialle. 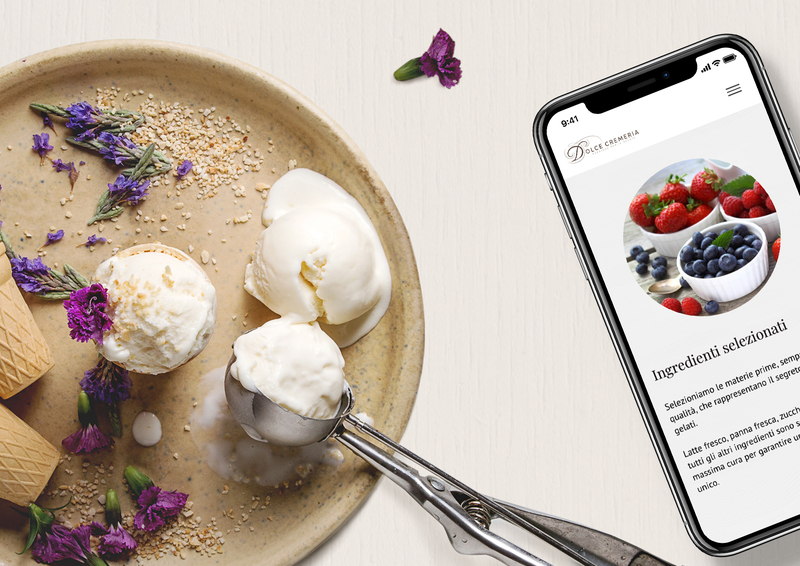 Renewed in its graphics and contents and developed in a mobile first perspective, the website Dolce Cremeria now accompanies the user in a new path that passes through the presentation of its products and the discovery of constantly updated recipes. The project led to a consolidation of Dolce Cremeria’s online reputation, but above all it aimed to increase its brand awareness even outside its operational area in Northern Italy, allowing the company to improve the lead generation phase in the B2B environment.